It is nearly always the intention for those who take retirement to use their spare time to see more of the world, but for most, cost can be an issue. 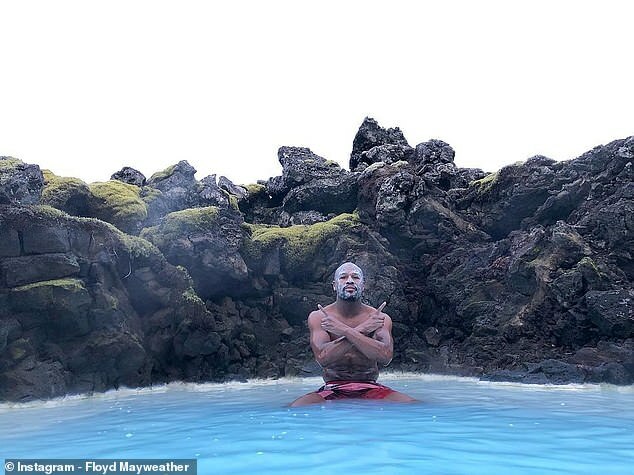 Not so for Floyd Mayweather. 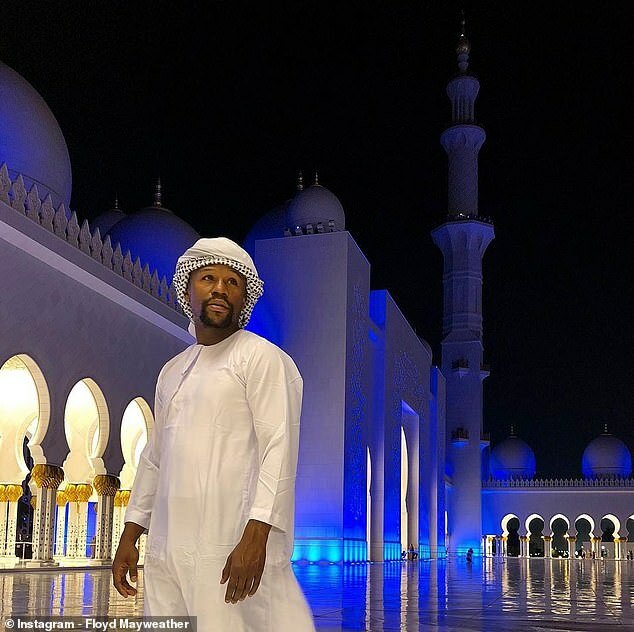 The 41-year-old, who for now is still a former boxer, took the time last week to embark on a round the world tour on his very own private jet. 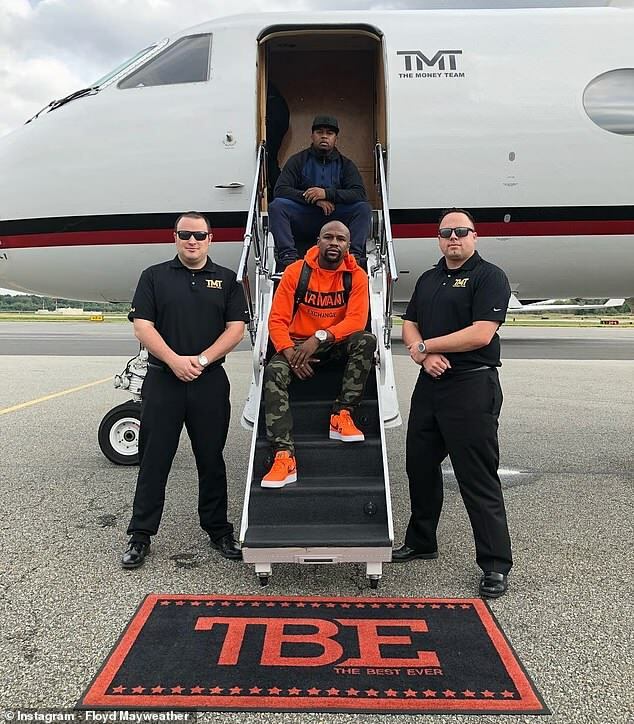 On Wednesday the former five-weight world champion took off from Teterboro airport on his journey, which to date has seen him clock up 7,534 miles and take in four different countries. 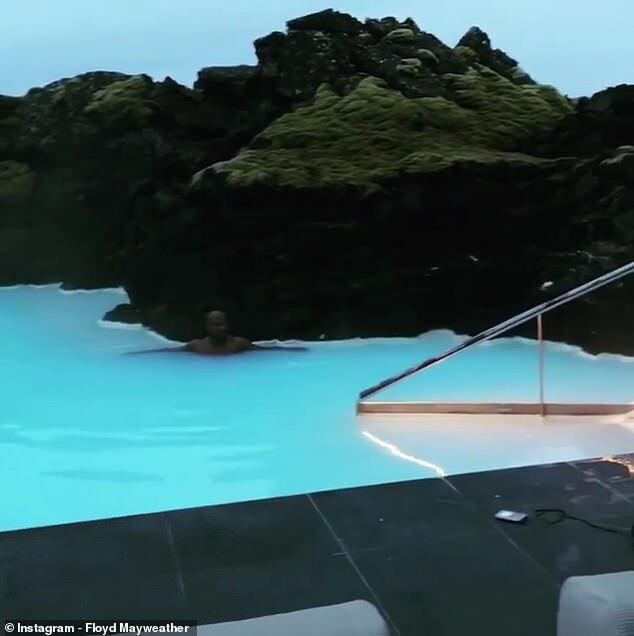 The first stop for his plane — a 41st birthday present to himself and the third in his collection —was Iceland, where he visited the Blue Lagoon hot springs. 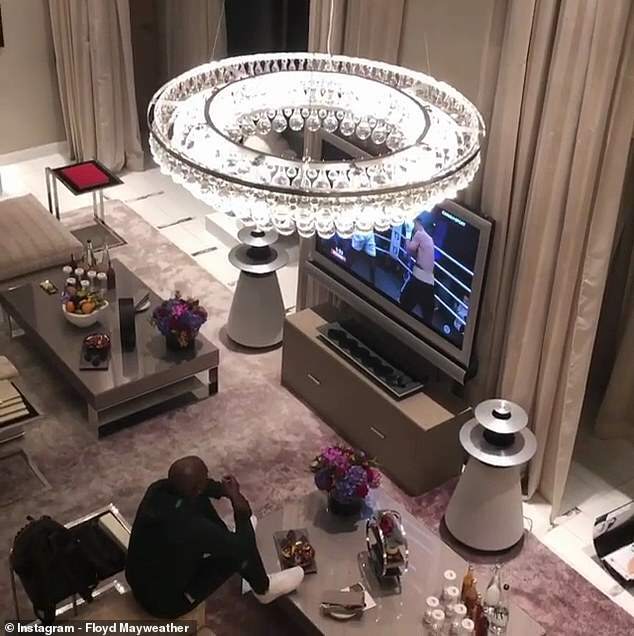 Rooms in the retreat hotel start from €1,132 and Mayweather appeared to enjoy himself sharing a video and pictures, along with the caption: ‘Life is all about experiencing different things. So, I decided to come check out Iceland. After the initial 2,700-mile trip to Scandinavia, the next leg was mere jaunt, as he touched down in Paris. 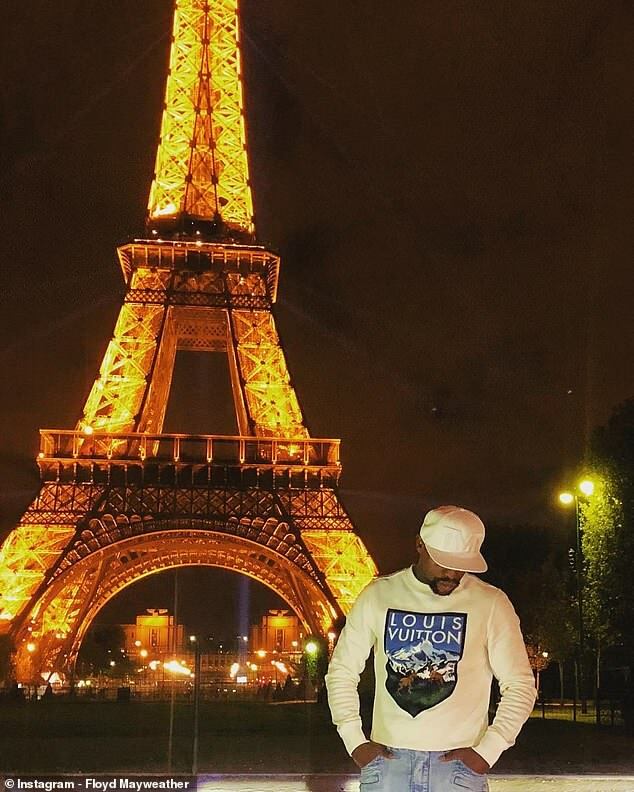 The undefeated fighter posed in front of the Eiffel Tower and showed off his lavish hotel room to followers before embarking on the next leg of his tour to Russia. In Grozni he visited a shooting range, posting videos of himself undertaking target practice, and looking a dab hand at it to boot. 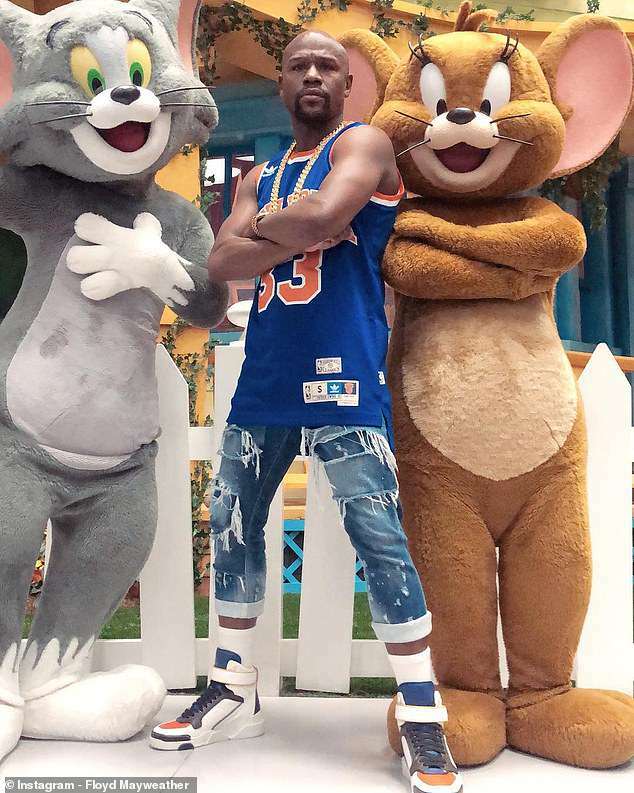 Now, on his latest leg, Mayweather finds himself in Abu Dhabi where he has visited the Sheikh Zayed Mosque and Warner Bros. World, where he posed with Tom and Jerry. It may be case of the fighter making the most of the spare time while he has it. Mayweather is believed to be in talks with Manny Pacquiao over a rematch. President of programming for Showtime Sports Stephen Espinoza earlier this week claimed that the prospect of him stepping back into the ring was a real possibility.